I travel a lot for work and leisure, and I have rented over 150 cars, so I’ve got some experience on the customer side of car rentals. I’ll try to help you out with what I’ve learned. I play the geocaching game Ingress, and one of its features is the option to do “missions” – specific collections of waypoints to visit. Most of these are relatively short, with under 20 waypoints in a relatively small geographic area. 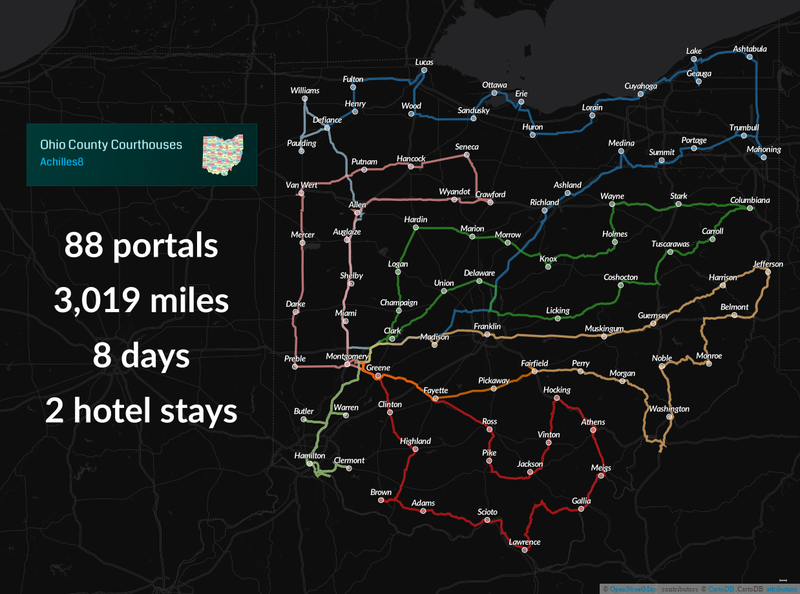 However, on a road trip that I took earlier this year, I pulled out Ingress on a break and noticed a mission called Ohio County Courthouses, which required visiting the courthouse in each of Ohio’s eighty-eight counties.